Is Work Hurting Your Heart? Are you spending more than four hours in front of a computer screen everyday? In study published this year the researchers from the Department of Epidemiology and Public Health at the University College London reported that this more than doubles our risk of dying from heart disease. Blood levels of C-reactive protein, a sign of smoldering inflammation, were twice as high in people who spent more than four hours in front of a screen than people who spent less than two. 1. Limit yourself to two hours per seated session. Then for 10 minutes stretch, walk, practice an energy medicine technique or cross crawl (see the video link). Give your heart this designated care every two hours! 2. 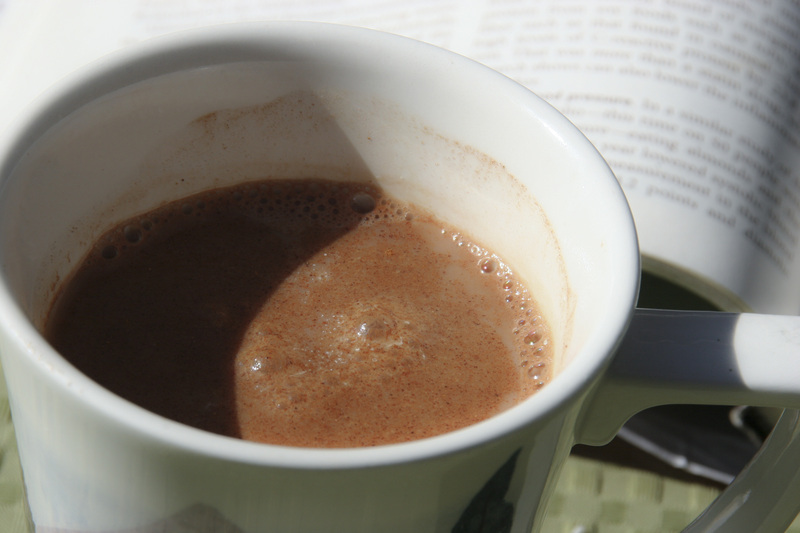 Combine powdered Natural Cocoa (highest flavonol content) and coconut milk or cream and cinnamon for a heart healing beverage that tastes great, improves circulation, lowers c-reactive protein (CRP), lowers blood pressure, increases mental energy and helps metabolize fat! How awesome is this!? Recommended dosage: A cup or two everyday if your work keeps you seated in front of a screen.